Ally Scraps: Wedding guest book. 1. Prep chipboard album by painting with acrylic paint. Once dry lightly sand the edges to distress. 2. 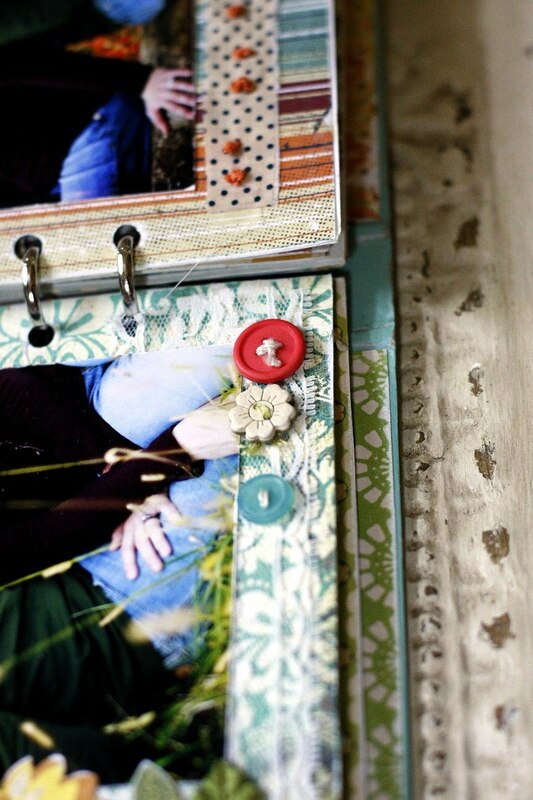 Measure and cut papers to fit the outside & inside of the album cover. 3. 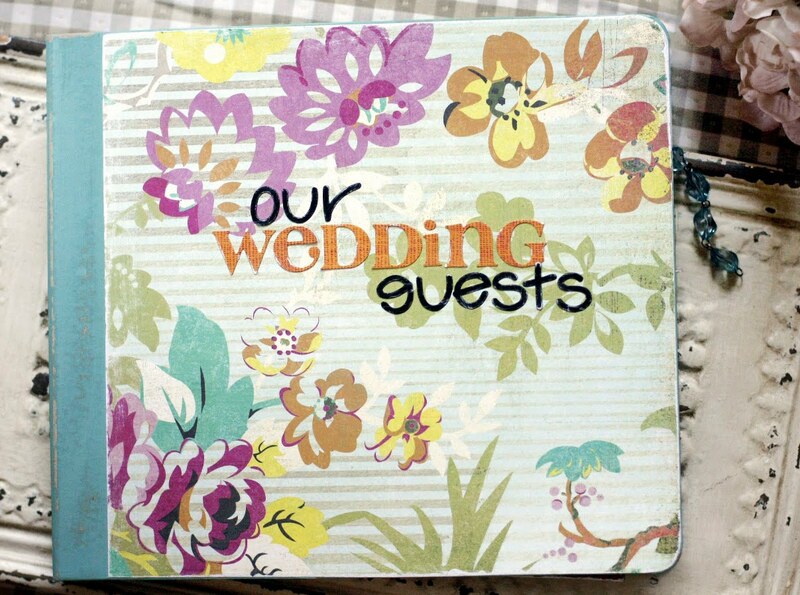 Apply alphabet stickers to the outside front cover to say, "Our Wedding guests" then apply Mod Podge or other sealer to protect the outside of the album. 4. Prepare individual pages by adhering papers to each. 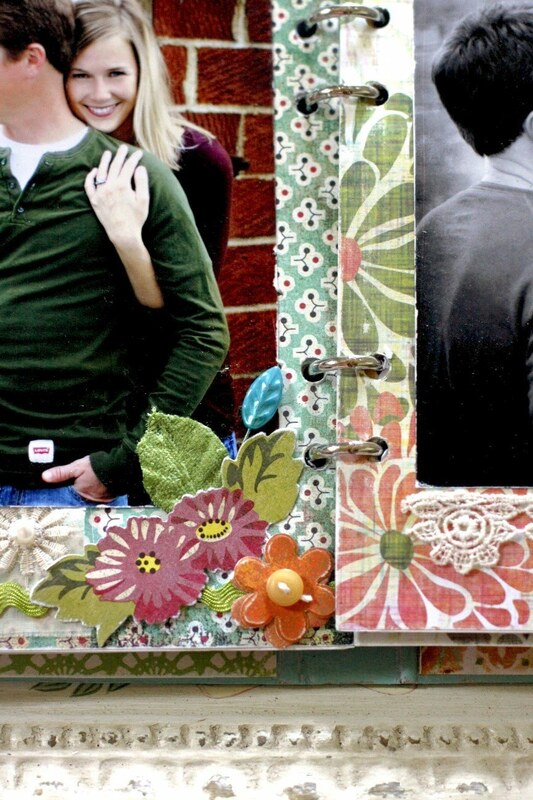 Place a patterned paper along the side with the punched holes and a solid paper on the opposite side. Lightly sand outside edges of the pages as desired. 5. Distress the edges of 4x6" photos using sandpaper and an exacto knife. 6. 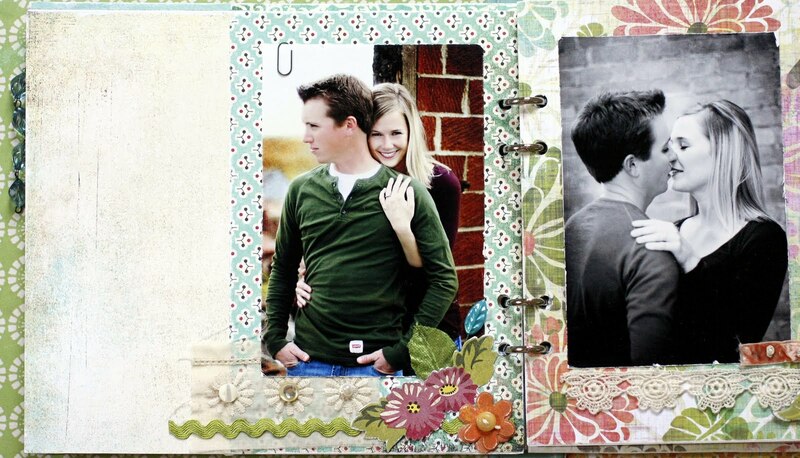 Adhere a 4x6" photo to each page on the patterned paper side and near the punched hole edge so that there is room for guests to sign along the outside and around the photos. 7. 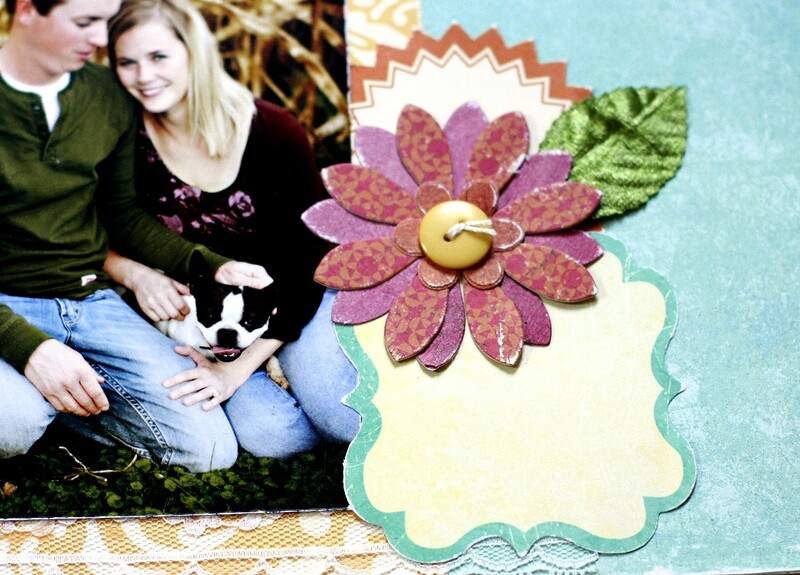 Use a die-cutting machine to cut flower pieces from papers and layer onto some of the pages near the photos. 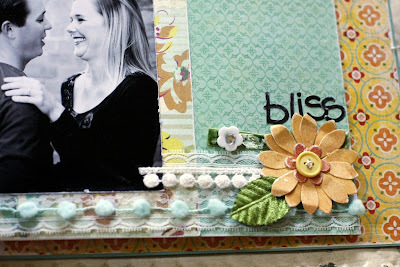 Distress flowers with sandpaper and add a button to the center. 8. Print miscellaneous words and phrases onto cardstock, cut into word strips, distress edges with sandpaper then adhere to pages as desired. 9. Add laces and trims to pages near the photos and thread button holes with string and adhere along the lace strips as desired. 10. Add a Maya Road Trinket pin to a cluster of flowers, adhere pearls or buttons to trims and add velvet petals to flowers as desired. Crate Paper Eclectic Buttons- "Emma's Shoppe Collection"
Cosmo Cricket - Upcycle Collection- "Re-Found"
October Afternoon- Thrift Shop Collection paper- "Still in Box"
this sounds like a great idea. i agree with having a template for the first few pages so guests have an idea and maybe instructions posted up or something .. good luck!! 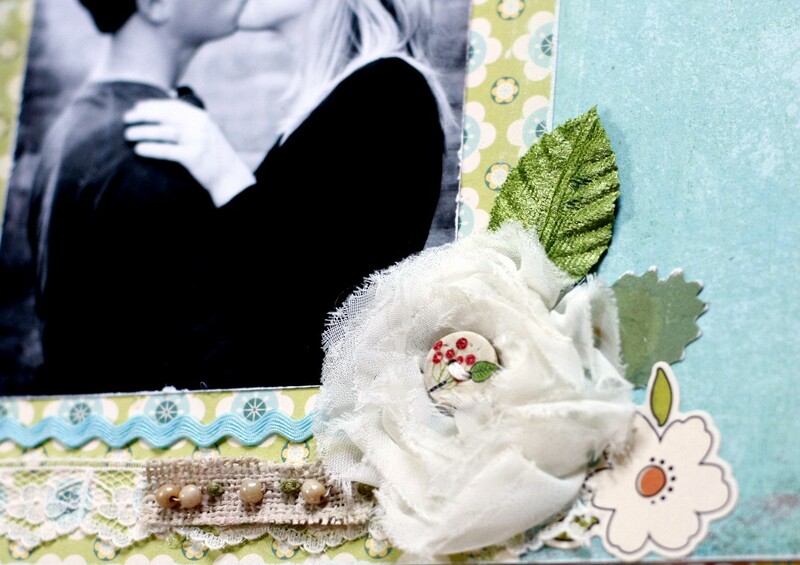 Love and cherish mini book.